With five minutes of prep (and some waiting), you can make this wholesome, satisfying meal. 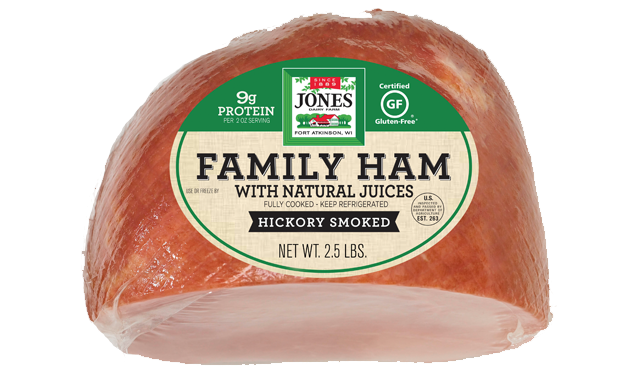 Fresh thyme is the perfect complement to smoky Jones ham. Rinse beans and place in slow cooker with herbs, salt and pepper. Cover with chicken stock and white wine, stir to combine. Add onion and celery. 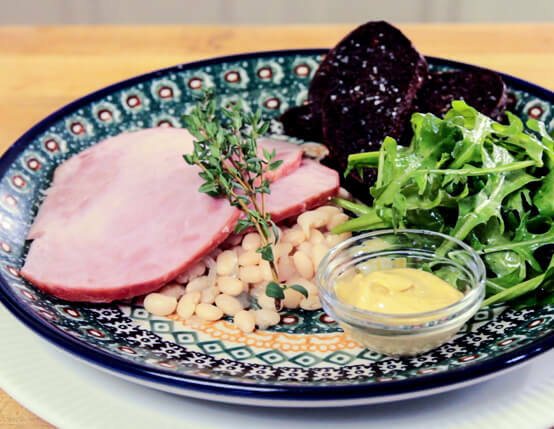 Place ham in center of slow cooker on top of beans and vegetables and drizzle with olive oil. Add butter to either side of ham. Cook on high for 6-8 hours. Slice ham and serve with bean mixture.